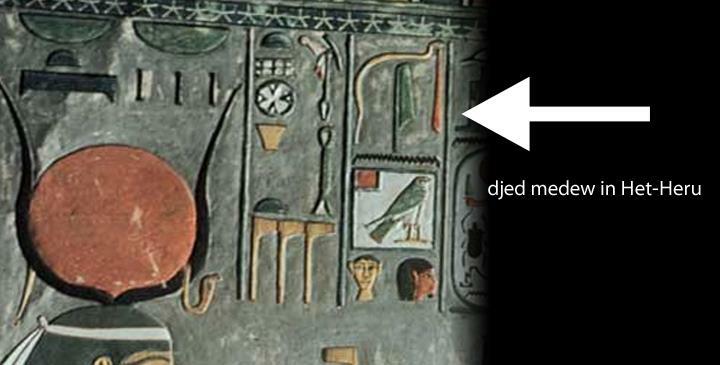 Transliteration: Djed medew in Het-Heru her tep Waset henut Netcheru nebu nebet pet. Translation: Words spoken by Het-Heru who is foremost of the city of Waset, mistress of all the Netcheru, lady of the sky. The focus here is on the phrase /Dd mdw in/ – “djed medew in” meaning words spoken by. This is located two columns to the right of the female figure. The glyphs are the cobra in repose (I10), walking stick (S43), flowering reed (M17), and water ripple (N35). This is the ancient way of functioning as Quotation Marks that we use in English today. Quoting what someone said. 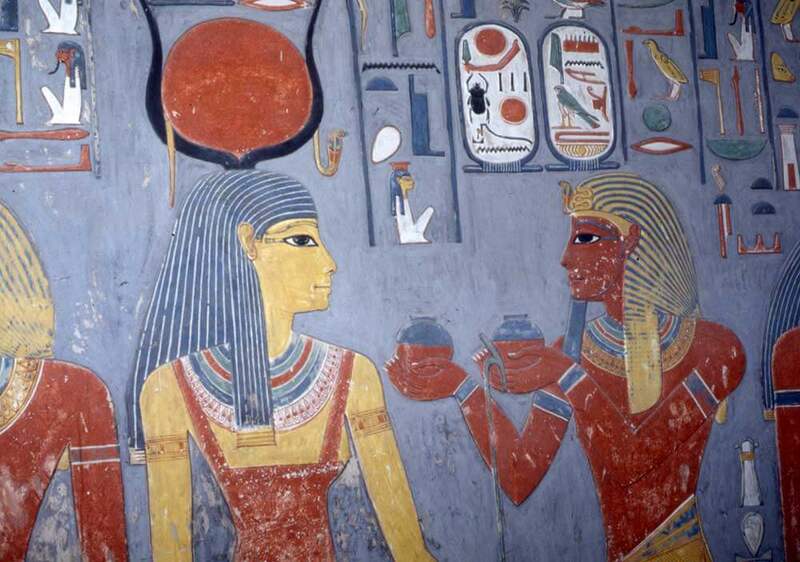 The female figure is identified as the one being quoted and in this case it is Het-Heru. The figure being quoted and the glyphs represented face in the same direction. This tip should help in identifying who you are looking at. 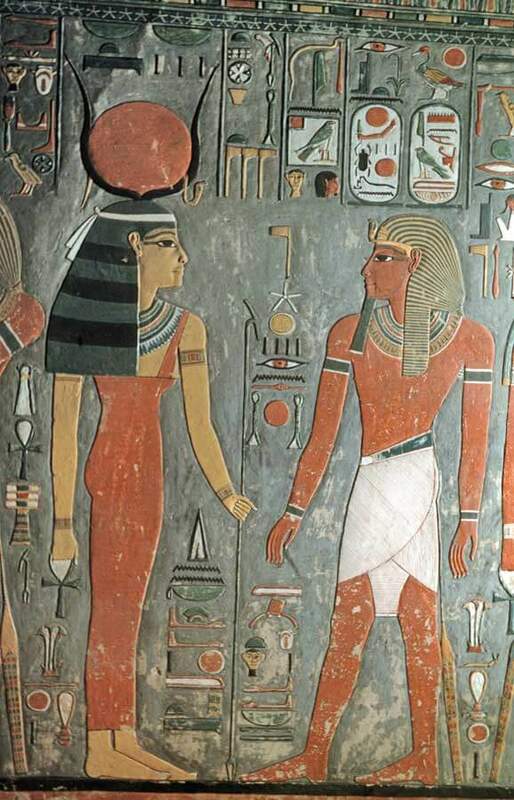 There are many instances where figures are confused with one another because various Neteru share similar apearences such as Auset and Het-Heru which are probably the most confused. Many people would normally mistake her as Het-Heru in this picture, but using this tip we can eliminate this misunderstanding. Hope you find this useful. MdC stands for Manual de Codage which is a transliteration system made for computers and eliminates the need for diacritical markings. Gardiner Codes used by Sir Alan Gardiner to categorize hieroglyphs using a coding systems which allows Egytologist to identify glyphs being discussed.